Your FEHB coverage (Federal Employees Health Benefits) is an important benefit while you’re working, and if you meet the eligibility rules, you and your spouse can keep the benefit for the rest of your lives in retirement. Bonus: the share of cost remains the same, too. The ability to continue FEHB coverage into retirement gives you more flexibility in picking your retirement date—you’re not forced into waiting until your 65th birthday and Medicare eligibility or paying high rates for private health insurance. 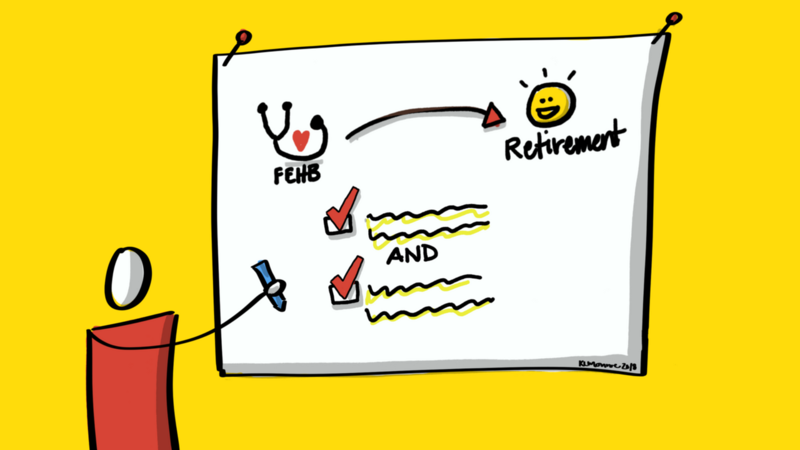 There’s some misinformation and confusion, though, about how FEHB works in retirement. This can make it hard for you to plan a financially secure future. Eligibility: The 2 Requirements You Must Get Right! You, as the employee, must have been continuously enrolled in ANY FEHB plan for the 5 years of service immediately before your retirement date OR for the full period(s) of service since your first chance to sign up (if less than 5 years). Covered as a family member (for example: you’re covered under your spouse’s FEHB plan). You’re covered under TRICARE as long as you were covered under an FEHB plan at the time of your retirement. Case Study: FEHB Coverage Change at Open Season. Sarah Sample plans to retire this year, but she changed her FEHB coverage from one insurance plan to another at the last Open Season. She’s been covered for the last 20 years. Will Sarah lose her FEHB coverage at retirement because she made a change at Open Season? No. Sarah Sample will be able to continue her FEHB coverage at retirement because she meets both requirements—she’s retiring, and she’s had coverage in FEHB for the 5 years immediately before her retirement date. How About FEHB For Your Spouse? You must meet the FEHB eligibility requirements, but your spouse is not subject to the prior enrollment requirement. So what’s the catch for FEHB coverage for my spouse then? It’s important to understand the role that a FERS or CSRS Survivor Benefit plays in the continuation of FEHB in the event the retiree passes away first. If you pass away first in retirement, your spouse can ONLY continue their FEHB if they elected to receive a Survivor Benefit—unless your spouse is a FERS or CSRS retiree as well. Without a survivor benefit, the spouse may lose FEHB coverage 31 days after the retiree’s death. This means that you and your spouse face a very important survivor benefit decision at retirement. A Survivor Benefit can provide your surviving spouse with both a monthly pension check and continuation of their FEHB coverage for the rest of their life, unless your spouse remarries before age 55. There’s one exception to that rule: if you were married for 30 years or more, your spouse’s FEHB coverage will continue even if they remarry under age 55. You can read more about FERS Survivor Benefits in this article. If you separate from service and you qualify for a FERS pension under the Minimum Retirement Age (MRA) + 10 rule, you can continue your FEHB coverage WHEN your FERS pension starts, as long as you met the FEHB eligibility requirements when you separated from service. If you postpone the start of your FERS pension, your FEHB coverage will end when you separate from service. You may choose to resume FEHB coverage when you start to receive your FERS pension. Retirement Cost: Will You Pay More? No. The share of cost remains the same in retirement for your FEHB coverage. The only change is that your FEHB premiums are no longer paid pre-tax in retirement. However, if you’re a retired FERS or CSRS Public Safety Officer, there is a provision that may allow you to continue to pay your FEHB premiums pre-tax in retirement. Click here for additional OPM information. Open Season In Retirement: Does It Work The Same Way? Yes. You can make changes to your coverage during the annual Open Season which is the same time for retirees as it is for employees. Wait: How Does Dental And Vision Coverage Work In Retirement? Pay premiums during the period of finalization of your pension by OPM. You will receive bills from BENEFEDS during this period and must pay the bills promptly. After OPM finalizes your pension, premiums are automatically deducted from your pension each month. If you have questions, contact BENEFEDS at 1-877-888-3337. There is no 5-year continuous enrollment requirement for FEDVIP. You can elect coverage or cancel coverage during the annual Open Season. Your FERS health insurance benefits can help you to have a financially secure retirement with lifetime coverage. Make sure that you’ll meet the eligibility requirements and factor in the monthly costs of FEHB and/or Vision and Dental Coverage in your retirement planning and preparation. And, if you’re married, you’re going to want to have that conversation about survivor benefit options and FEHB in retirement. Do you need a simple way to understand your FERS benefits? Are you putting off retirement planning because it's been too much to figure out? Discover how the powerful FERS Blueprinttm framework has helped employees like you PLAN retirement. FERS Blueprinttm is an educational division of The Monroe Team, Inc. DUNS Number: 032 057260. CAGE Code: 735L3. NAICS Code: 611710 Educational Support Services. Woman-owned, small business. FERS Blueprinttm is not affiliated with, endorsed or sponsored by the Federal Government or any US Government agency. FERS Blueprinttm is educational only. No specific financial, retirement nor tax advice is being offered. The material presented is as current as possible, but is necessarily generalized. Facts and opinions are based on research and experience, but are not endorsed by the Federal Government. It is recommended to consult with your personnel office and/or the Office of Personnel Management (OPM) Retirement Office, Thrift Savings Plan, Social Security, Medicare, Internal Revenue Service, your legal, tax and/or other advisor(s). 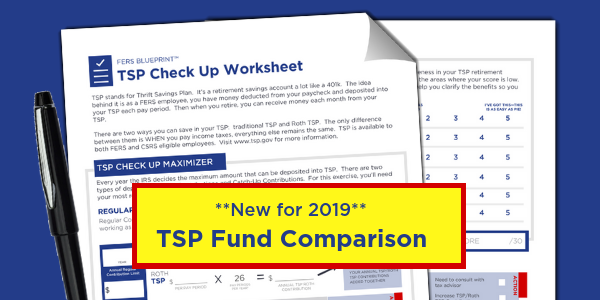 The 2019 TSP Check UpTM is a lesson directly from our Live FERS Retirement Training. It's designed to help you maximize your TSP savings, assess your TSP investment strategy and create a simple follow-up action plan. It's free. Download The TSP Check UpTM. Get this free benefit guide, The 7 Superheroes of FERS Retirement Benefits, to use as a handy one-page reference guide for retirement planning. It’s free. Download this benefit guide now. We'll Let You Know When the FERS Blueprint Retirement Training Enrollment is Open! Notify Me When The FERS Blueprint Enrollment is Open!